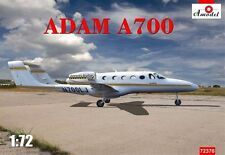 ADAM A700 1/72 AMODEL 72370 NEW model kit! 1/144 PAS-Models. Conversion set For A-320. Requires assembly and painting. Glue, paint and model kit not included. Boeing 707-347C. Boeing 720-047B. Boeing 727-247. Boeing 737-247. Livery: Western Airlines. Item:Percival Vega Gull. The box is in good condition. This is COMPLETE and MINT IN THE BOX, with ALL of the parts still attached to the trees and sealed in a bag inside the box! Condition:NEW - MINT IN THE BOX. ZVEZDA 7019 Model Kit "Civil Airlines BOEING 737-800"
ZVEZDA 7019 Model Kit "Civil Airlines BOEING 737-800" (1/144 Scale). Civil Airlines BOEING 737-800. Condition: Glue and paint in the model set is not included. The model is unpainted, not assembled. Item:Dassault Falcon 20. This injection molded kit includes parts molded in gray plastic, a sheet of decals with markings for Pan Am Airlines, and assembly instructions. The box is in good condition. Item:Decal Set - Boeing 787-9 Dreamliner Part 2. This set includes markings and stencils for one Quantas Airlines version! 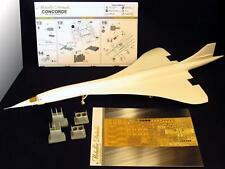 This is a detail set only and the Concorde model is NOT included! Item:BAC Aerospatiale Concorde Photo Etch Detail Set. Previously displayed for a brief period of time. Otherwise all pieces in excellent condition. Outer box has minor shelf wear. Photos of actual item. Item:Colani C-309 Racer. 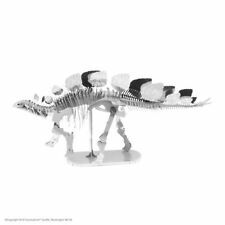 This kit includes parts molded in beige resin, vacuform clear parts, a sheet of decals, and assembly instructions. The box is in good condition. 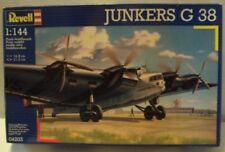 Item:Decal Set - Junkers Ju-52/3mg. Requires assembly and painting. Glue and paint not included. Photo is of actual item. Box has wear. 1/72 scale plastic model kit. Assembly required. Can be displayed with landing gear up or down. 31 parts molded in silver and clear. Skill level 2 for ages 12 and up. ZVEZDA 7008 Model Kit "Civil Airlines BOEING 787-8 DREAMLINER"
ZVEZDA 7008 Model Kit "Civil Airlines BOEING 787-8 DREAMLINER" (1/144 Scale). Civil Airlines BOEING 787-8 DREAMLINER. Condition: Glue and paint in the model set is not included. The model is unpainted, not assembled. This miniature model is 1/1000 scale and measures ~2.25" long with a 2.5" wingspan. Although small, it's highly detailed and looks very sharp, especially when displayed with the included stand. Warning: this collectible model is not a toy. Contains small parts, not suitable for children under 14 years. 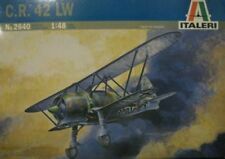 Item:Macchi MC 72. The box is in good condition. Every Iron Maiden fan that wishes they could have seen "Ed Force One" up close needs this model. Kit features four CF-6 engines, detailed landing gear can be extended or retracted, detailed under-wing, super decal set with authentic "Ed Force One" decals. 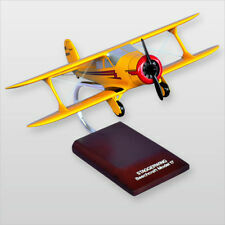 1/144 RESIN BEECH CIVIL BARON "CUSTOM"
Add a Beech Baron Custom to your 1/144 scale aircraft model collection. Piper PA-18-150 Float Plane 1/32 Revell Complete & Unstarted. Here is a plastic model kit that you assemble (with glue) and paint. Kit is complete. 1/72 Scale. Great re-issue of the classic Aurora Airliner in big 1-72 scale. Features classic artwork and detailed instructions. The airliner has a seating capacity of up to 400 passengers and a range of over 4,000 nautical miles (7,410 km). 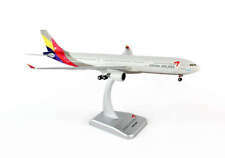 1:250 Scale Plastic Snap-Fit – Lockheed L-1011 TriStar Air Canada – Length:8.75" Wingspan: 7.75". French Caravelle Jetliner 1/96 Lindberg Complete & Unstarted. Here is a plastic model kit that you assemble (with glue) and paint. If anything is started it is usually very minor work that is done well. Kit is complete. 1/72 Metallic Details MD7207 SR-71 Blackbird. ZVEZDA 7004 Model Kit "Civil Airlines TU-154M"
ZVEZDA 7004 Model Kit "Civil Airlines TU-154M" (1/144 Scale). Civil Airlines TU-154M. Condition: Glue and paint in the model set is not included. The model is unpainted, not assembled. I do occasionally make typographical errors. Scale: 1:144. Lockheed L-188 Electra. Retro Box Art like Aurora. This injection molded kit includes parts molded in gray plastic, a sheet of decals with markings for Varig Airlines, and assembly instructions. The box is in good condition. Item:Convair CV-990. Curtiss Condor Glencoe Models 1/81 Complete But Parts Off Trees & Started. This set includes markings for Condor, VASP, and Cruzerio Airlines versions! Item:Decal Set - Boeing 727-100. Good condition - - see picture you get what is shown - - quarter shown for scale. Most of the pieces have been separated from their "trees". We are unable to confirm the kit is complete. Most of these models are new and have never been assembled. Open box, factory sealed inside. Box has a tear on 1 side. If there is a problem, we will take care of it! 1/144 BPK 14407 Bombardier CRJ-700 Lufthansa, United liveries. Paintings masks and photo etched parts included. Requires assembly and painting. Glue and paint not included.